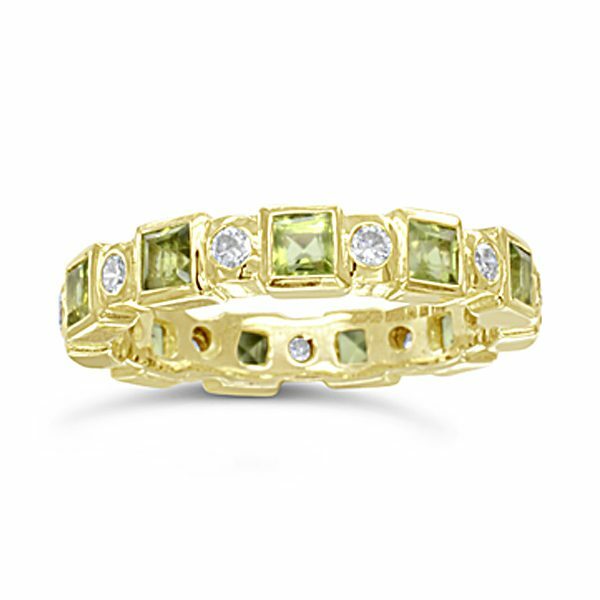 An unusual handmade peridot eternity ring featuring 3mm square cut peridots and 2mm round diamonds. 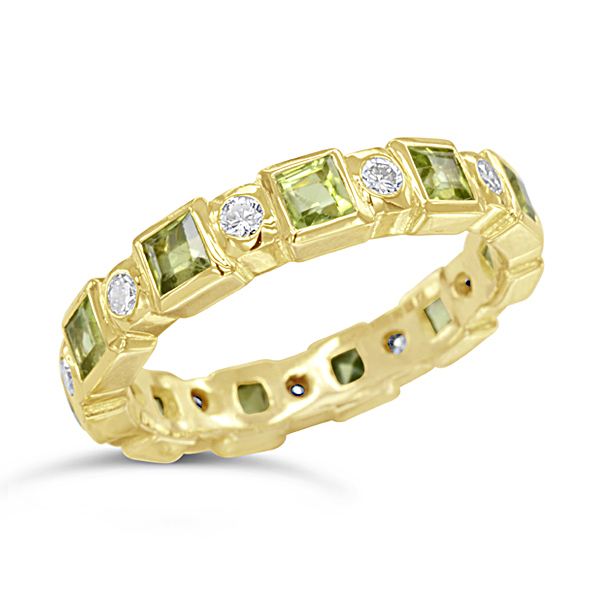 They are set in 18ct yellow gold designed to give a modern contemporary feel. The ring can be work alone or next to other rings. Pruden and Smith design many types of ring, call their designer Rebecca Smith today and make an appointment to have a unique ring designed and made for you using our bespoke ring design service. 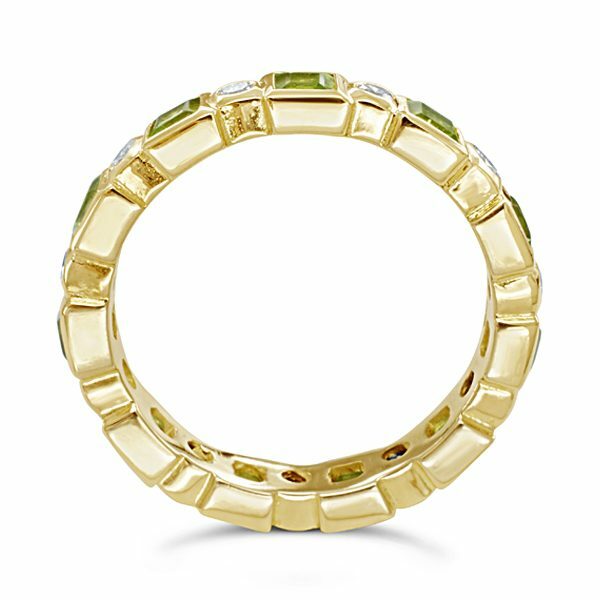 Eternity rings are bought for many reasons: wedding anniversaries; the birth of a child; graduation. This might influence the type of stone and metal you choose.